I Bought Fusion 360, Now What? In the wake of the new subscription promotion, and a noticeable trend of Fusion 360 and A360 marketing as we head towards Autodesk University, I was inclined to know more about what is really going on in the Autodesk Fusion camp. The product and business team have taken a few sudden turns in the past, and few of us really have a grip on what’s going on. Autodesk put out a promotion for Fusion 360 recently: Buy the annual subscription now at regular price of $300 USD / year, and receive a license upgrade to Fusion 360 Ultimate for as long as you maintain your subscription. That subscription is currently $1200 USD. Wow! 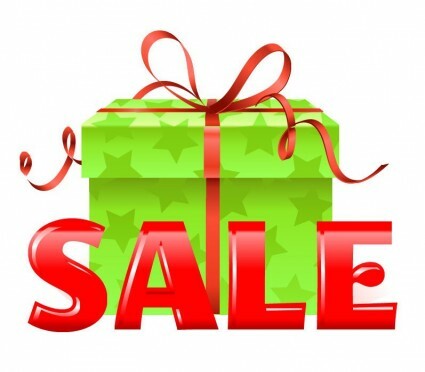 That promotion is a fantastic deal, provided that the product will continue to be developed. The company has taken the product for a few turns along the course of its life. Initially, as Inventor Fusion, it was being developed as a test bed for new ways of approaching design problems, which rapidly formed into one hell of a disfeaturing platform and companion to Simulation software. As the product continued to grow and be proven, various CAD functionalities were handed off to Autodesk Inventor. Inventor Fusion became Fusion 360 as it jumped to the cloud. Fusion 360 offered a host of benefits surrounding cloud technologies. One of my favorite benefits was the cohesive model platform, where upon the really slick SIM 360 product could sit right along-side the incoming CAM 360 platform, which I wrote about in 2012. Fusion was continuing to be enhanced with support for parametric and history based modelling, as the product team got a feel for what was needed in the market that it was being designed for. There was a lot of momentum, and a lot of possibilities to benefit the small to medium design business In the future. A360 seemed to stall; PLM 360 began to list with no real direction towards the seemingly obvious needs of the SMB market. The Simulation team decided that their efforts needed to support the robust needs of analysts, and SIM 360 was removed from the 360 platform and … well stopped being SIM 360 (While I wholeheartedly agree with the enhancement that analysts need, is there not room for that in the SIM 360 product?). The entire Simulation product line reverted to desktop with the cloud solve option appearing under the name of “Simulation FLEX”. After a sudden surge of really nice, real-need design and engineering enhancements last year, the Fusion product team continued to state that Fusion 360 was not being developed to fulfill the larger scope of mechanical engineering needs. What in the hell is going on? The only thing that seemed to be consistent was CAM. Whether it was obvious to the key players or not, this all left the SMB design market not knowing if any portion of the 360 platform would meet their realistic needs in the future. 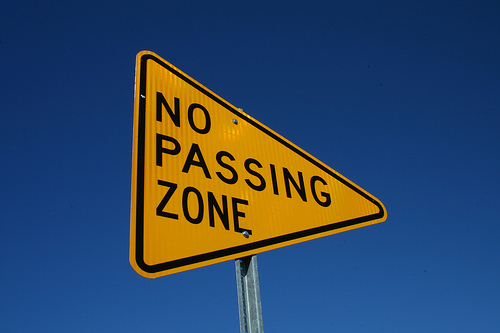 Some other vendor’s cohesive product plans started to look more attractive with a more obvious (and slightly less aggressive) plan into the future, and more obvious attention to design and engineering requirements in the SMB design space. The product teams’ goals and agendas had begun to separate, and as a result, pulled the cloud platform into fragments (or at least it appeared to). Carl Bass, Autodesk’s CEO recognized the need for communication and a unified direction across the products and began redirecting the company’s SMB cloud platform mission. Carl told the 360 team players that he did not want people to have to purchase a list of licenses and have multiple disconnected tools: One application, one model, period. Significant evidence of this appeared earlier this year with A360’s projected timeline. The company was suddenly more open about its plans, which included integrations for other products (including PLM 360) as the company crossed into 2015. Sure enough. PLM 360 emerged with numerous features that the SMB cloud space has been demanding, as well as a new core data platform, one that is shared with the 360 product line. 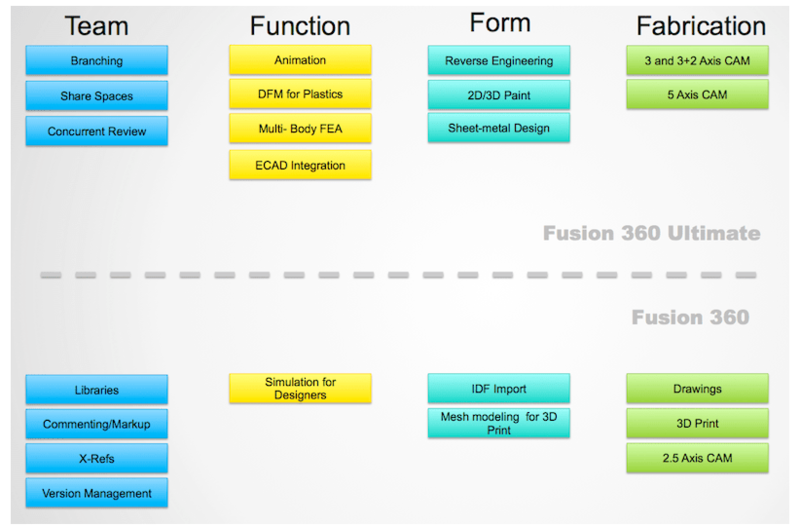 Along with A360, PLM 360, and CAM 360, the Fusion team has become far more open about its direction as well (notice I didn’t say anything about SIM 360). Kevin Schneider, Director of Fusion 360, has released a post showing the immediate and future plans for Fusion 360. Simulation is being added back in, including multi-body linear static analysis. Customer’s needs vary, and while we don’t necessarily agree on some points, the re-emergence of Fusion 360 as a cohesive, more capable part of a potentially unified 360 platform makes it the only product of its kind; one that has the potential of meeting the greater need of the SMB design business. Kevin Schneider’s list, and recent conversations indicate a strong inclination in that direction. Let’s hope they continue. I suspect we will hear about common core direction from Carl Bass at Autodesk University next month. Autodesk has been running a ‘get in early’ package deal. If you buy a subscription license to Fusion 360 ($300 USD), you receive the Ultimate license ($1200 USD) at no extra charge, as long as you maintain that subscription. That’s a good deal. If that product matures to handle what I think it should be capable of, that’s an incredible deal. If Carl Bass’ ‘one application, one model’ concept holds true, then all innovations for the 360 platform will funnel into Fusion 360 Ultimate: That’s parametric modeling on a proven CAD platform that can open almost any file format; one that de-features models like no other; with multi-body non-linear static analysis and animation; add to that 5 axis CAM with full toolpath simulation … did I forget anything ? Ah, yes – for $300 USD per year. That Mr. Schneider, is insane. Did Design & Motion subscribe to such a good deal? We jumped on that faster than a knife fight in a phone booth. One of our primary focuses has been to bend technologies to the needs of SMB design and manufacturing. We decided to put Fusion 360 Ultimate to the test by porting the Design & Motion afterburning turbofan engine design to the Fusion 360 platform. While much of the supporting analysis for this will be done on Simulation CFD and Simulation Mechanical with Nastran, the engineering and base linear analysis will be completed in Fusion 360 Ultimate. Fusion team, don’t stop now. Kevin Schneider’s Fusion team has brought Christmas early this year. Autodesk has extended the promotion for another month, which will now run until December 12th, 2014. If you wanted to get involved with what could be the best deal of the year, your business should consider purchasing the Fusion 360 subscription now.